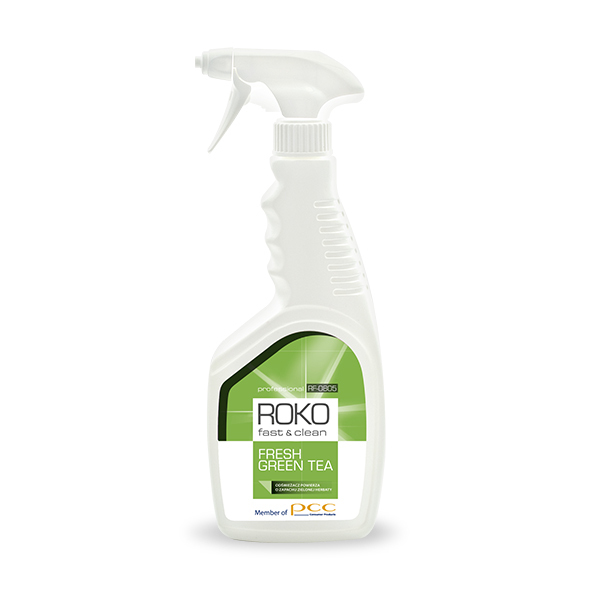 ROKO FAST&CLEAN FRESH GREEN TEA is a professional long-lasting air freshener, intended e.g. for hotel areas: rooms, corridors, halls, conference rooms, toilets and smoking areas. It removes unpleasant odours of tobacco smoke, toilets, damp rooms. It restores the scent of cleanliness and freshness. The product is intended for professional use. air freshener neutralisation of odours odour removal fragrance.